We Approve Good & Bad Credit! Helpful staff that would do anything to get you into your dream car. Would recommend to anyone looking for a new or used car. 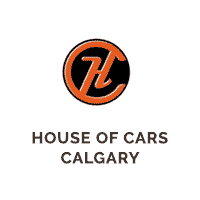 I recently visited the team at House of Cars and was impressed with how they listened to my needs and were able to provide me with a number of options that fit my budget. First off, House of Cars is and always will be my #1 go-to dealership! I recently financed my brand new 2019 vehicle all thanks to John Huh! The real MVP ladies and gents. With over 400+ vehicles in stock between our 8 Alberta locations, we’ll be sure to find you a vehicle you desire! And if you don’t see the vehicle you’re looking for…don’t even sweat it! We’ll find it for you! There’s a reason we’re often imitated…come find out for yourself! Give us a call and experience the difference today!